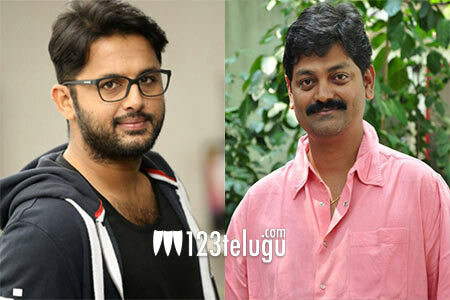 Nithiin to team up with his hit film’s director again? Released in 2013, Nithiin’s romantic entertainer, Gundejaari Gallanthayyinde, went on to become a huge blockbuster. The film marked the directorial debut of Vijay Kumar Konda. After GJG, Vijay Kumar Konda’s next film, Naga Chaitanya’s Oka Laila Kosam, released in 2014 and turned out to be a flop. Since then, he has not made another film. Now, speculations are rife that Nithiin and Vijay Kumar Konda will soon be teaming up with each other for the second time. Apparently, Vijay has narrated a love story to Nithiin, and the actor is said to be impressed with it. Nithiin has reportedly given his nod to Vijay’s project and an official announcement maybe expected in a few weeks.